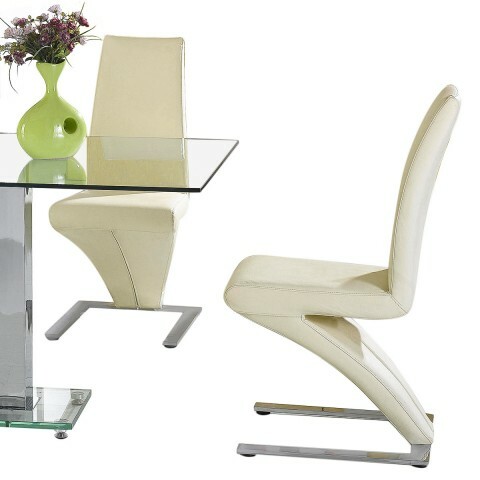 This unique dining set is the perfect centrepiece for a modern household. The Large Black glass table top mixes style with durability, with a stainless-steel T-bar central column that is sure to be the focus of conversation. Coming with a set of set robust and unique chairs that add a quirky sense of class. 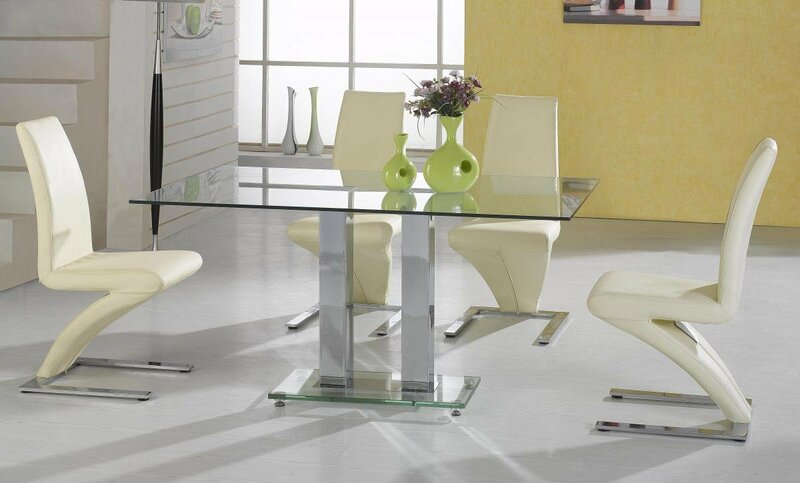 Available in a range of Black, Cream, Brown, Red or White, this set can match any modern dining room but remain the centrepiece.